Complete balanced food that meets all requirements at different stages of development and breeding. Complete food to supply calves from the first week of life up to 110. kgs. This food accompanies the supply of milk or milk substitute (4 liters / day). Minimum protein: 18%. Complete food formulated to meet the requirements of calves from 60 days of life. Complete food formulated to meet the requirements of growing animals, replacement heifers that must arrive with good weight at the fattening or calves of more than 3 months. This food is also used to make the "ternero bolita". Minimal protein: 16%. 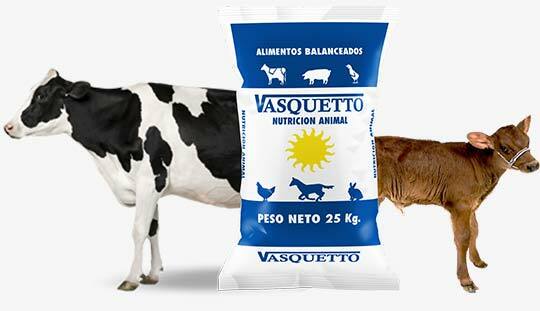 Complete food formulated to meet the requirements of animals in intensive fattening. Supply from 1.2% to 2.8% of their live weight depending on the feed supplement. Add fiber (roll or bale) to the diet. Concentrate to supply calves of guacheras from 50 kgs. Of live weight up to 120 kg. Mixed with corn (whole or ground). Proportion: 20% concentrate + 80% corn. Concentrate specially formulated to meet the requirements in the different final finishing rations of calves or heifers in intensive fattening pens, using as complement cereal (energy) and hay as a source of fiber. This concentrate is composed of proteins of high biological value, macro and micro minerals, lipo and water soluble vitamins, urea, ionophores and permitted additives. Supply ruminants in the following proportions: From 80 to 180 kg. Of live weight: 20% concentrate + 80% corn. Concentrate specially formulated to meet the requirements in the different final rations of intensive fattening of cattle of more than 180 kgs., Using as complement cereal (energy) and hay as a source of fiber. This concentrate is composed of proteins of high biological value, macro and micro minerals, lipo and water soluble vitamins, urea, ionophores and permitted additives. Supply ruminants in the following proportions: + 180 kg. To completion: Concentrate 10% + Maize or sorghum, 90%. Mineral supplement ideal for newly weaned calves and weasel heifers. Beef cattle, wintering, farm animals. Improvement of the performance of animals that consume pastures in spring and autumn. 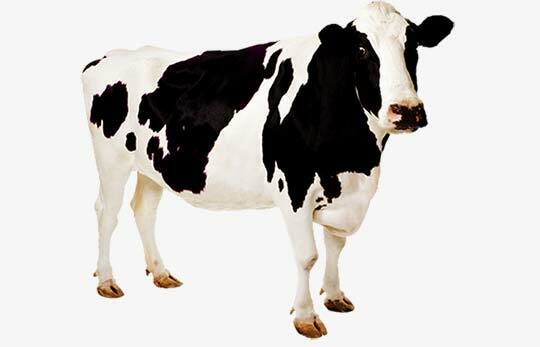 Increases production in dairy cows receiving low energy foods. Supplement in low quality pastures. Dosing: Lick blocks: Place 1 block to permanently lick every 35/40 animals, the blocks will be replenished once the previous delivery has finished. Water-soluble breads for drinkers: Place 1 loaf in a permanent way every 15 days. In rodeos with obvious deficiencies place 2 loaves every 15 days for a period of 60 days.